Here we have compiled a number of the papers produced by members of the Behavioral Ethics Lab. 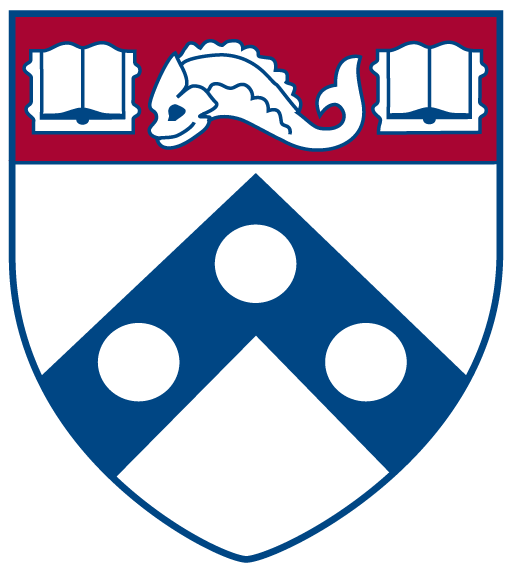 For additional repositories, please see our actively maintained working papers series in RePEc (Research Papers in Economics) and several archived papers available in the Penn Scholarly Commons. Bicchieri, C., & Marini A. (In Press). Female Genital Cutting: Fundamentals, Social Expectations, and Change. Dimant, E., & Tosato, G. (2017). Causes and Effects of Corruption: What has past decade’s empirical research taught us? A Survey. Journal of Economic Surveys. 00, 1-22. Castelain, T., Girotto, V., Jamet, F. & Mercier, H. (2016) Evidence for benefits of argumentation in a Mayan indigenous population. Evolution and Human Behavior. Mercier, H. (2016). The Argumentative Theory: Predictions and Empirical Evidence. Trouche, E., Johansson P., Hall L., & Mercier H. (2016). The selective laziness of reasoning. Cognitive Science. Mercier, H., Deguchi M., Van der Henst J. – B., & Yama H. (2016). The benefits of argumentation are cross-culturally robust: the case of Japan. Thinking & Reasoning. 22(1), 1-15. Castelain, T., Bernard, S., Van der Henst, J.-B. & Mercier, H. (2016) The influence of power and reason on young Maya children’s endorsement of testimony. Developmental Science. Bernard, S., Castelain T., Mercier H., Kaufmann L., der Henst J. – B. V., & Clément F. (2016). The boss is always right: Preschoolers endorse the testimony of a dominant over that of a subordinate. Vullioud, C., Clément F., Scott-Phillips T., & Mercier H. (2016). Confidence as an Expression of Commitment: Why Misplaced Expressions of Confidence Backfire. Hart, E., Avrahami J., & Kareev Y. (2016). Enlarging the market yet decreasing the profit: An experimental study of competitive behavior when investment affects the prize. Judgment and Decision Making. 11(4), 380-390. Mercier, H. (2016). Making Science Education More Natural – Some Ideas from the Argumentative Theory of Reasoning. German Journal of Educational Psychology. 5-7. Mercier, H., Boudry M., Paglieri F., & Trouche E. (2016). Natural born arguers: Teaching how to make the best of our reasoning abilities. Bicchieri, C. (2016). Norms in the Wild: How to diagnose, measure and change social norms. Oxford University Press. Funcke, A., & Franke U. (2016). Partial participation towards collective action:To stifle or instigate. Rationality and Society. Bernard, S., Clément F., & Mercier H. (2016). Pure wishful thinking and its moderation in preschoolers. Journal of Experimental Child Psychology. 141, 267-274. Mercier, H., Rolison J., Stragà M., Ferrante D., Walsh C., & Girotto V. (2016). Questioning the preparatory function of counterfactual thinking. Terrier, N., Bernard S., Mercier H., & Clément F. (2016). Visual access trumps gender in 3- and 4-year-old children’s endorsement of testimony. Journal of Experimental Child Psychology. Miton, H., & Mercier H. (2015). Cognitive obstacles to pro-vaccination beliefs. Trends in Cognitive Sciences. 19(11), 633-636. Mercier, H., Zhang J., Qu Y., Lu P., & Van der Henst J. – B. (2015). Do Easterners and Westerners treat contradiction differently?. Journal of Cognition and Culture. Jiang, T., Potters J., & Funaki Y. (2015). Eye Tracking Social Preferences. Journal of Behavior Decision Making. Charafeddine, R., Mercier H., Clément F., Kaufmann L., Reboul A., & Van der Henst J. B. (2015). How preschoolers use cues of dominance to make sense of their social environment. Trouche, E., Johansson P., Hall L., & Mercier H. (2015). The Selective Laziness of Reasoning. Miton, H., Claidière N., & Mercier H. (2015). Universal cognitive mechanisms explain the cultural success of bloodletting. Evolution and Human Behavior. Trouche, E., Sander E., & Mercier H. (2014). Arguments, more than confidence, explain the good performance of reasoning groups. Journal of Experimental Psychology: General. 143(5), 1958-1971. Strickland, B., & Mercier H. (2014). Bias Neglect: A Blind Spot in the Evaluation of Scientific Results. The Quarterly Journal of Experimental Psychology. 67(3), 570-580. Mercier, H., Bernard S., & Clément F. (2014). Early Sensitivity to Arguments: How Preschoolers Weight Circular Arguments. Journal of Experimental Child Psychology. 102-109. Vlaeminck, P., Jiang T., & Liesbet V. (2014). Food Labeling and Eco-friendly Consumption: Experimental Evidence from a Belgian Supermarket. Ecological Economics . 108, 180-190. Muldoon, R., Lisciandra C., Bicchieri C., Hartmann S., & Sprenger J. (2014). On the Emergence of Descriptive Norms. Politics, Philosophy and Economics. 13(1), 3-22. Mercier, H., & Heintz C. (2014). Scientists’ argumentative reasoning. Topoi. 33(2), 513-524. Jiang, T. (2013). Cheating in Mind Games: The Subtlety of Rules Matters. Journal of Economic Behavior and Organization. Baumard, N. (2013). Cultural Norms: Transmitted Behaviors or Adaptive Responses?. Current Anthropology. 54(2), 144-157. Adachi, K., Yama H., Van der Henst J. B., Mercier H., Karasawa M., & Kawasaki Y. (2013). Culture, Ambiguity Aversion and Choice in probability Judgments.. International Journal of Creativity & Problem Solving. 23, 63-78. Liénard, P., Chevallier C., Mascaro O., & Kiura P. (2013). Early understanding of merit in Turkana children. Journal of Cognition and Culture. 13(1), 57-66. Dezecache, G., Mercier H., & Scott-Phillips T. C. (2013). An Evolutionary Approach to Emotional Communication. Journal of Pragmatics. 59, 221-233. Baumard, N., & Boyer P. (2013). Explaining Moral Religions. Trends in Cognitive Sciences. 17(6), 172-180. Baumard, N., André J. – B., & Sperber D. (2013). A mutualistic approach to morality. Behavioral and Brain Sciences. 36(1), 59-122. Bicchieri, C., & Chavez A. (2013). Norm Manipulation, Norm Evasion: Experimental Evidence. Economics and Philosophy. Mercier, H., & Heintz C. (2013). The Place of Evolved Cognition in Scientific Thinking. Religion, Brain & Behavior. 3(2), 128-134. Baumard, N., & Boyer P. (2013). Religious Beliefs as Reflective Elaborations: A Modified Dual-Process Model,. Current Directions in Psychological Science. Sillari, G. (2013). Rule-Following as Coordination: A Game-Theoretic Approach. Synthese. 190(5), 871-890. Bicchieri, C., & Mercier H. (2013). Self-serving biases and public justifications in Trust games. Synthese. 190(5), 909-922. Chavez, A., & Bicchieri C. (2013). Third-Party sanctioning and compensation behavior: Findings from the ultimatum game. Journal of Economic Psychology. Mercier, H., & Strickland B. (2012). Evaluating arguments from the reaction of the audience. Baumard, N. (2012). The evolution of cooperation: from networks to institutions. Social Evolution Forum. Baumard, N., & Sperber D. (2012). Evolutionary and Cognitive Science. Mercier, H., Yama H., Kawasaki Y., Adachi K., & Van der Henst J. (2012). Is the Use of Averaging in Advice Taking Modulated by Culture?. Journal of Cognition and Culture. 12(1-2), 1-16. Mercier, H. (2012). Looking for Arguments. Argumentation. 26(3), 305-324. Baumard, N. (2012). The moral problem of group selection. Edge. Sperber, D., & Baumard N. (2012). Morality and reputation in an evolutionary perspective. Mind and Language. 27(5), 495-518. Bernard, S., Mercier H., & Clément F. (2012). The power of well-connected arguments: Early sensitivity to the connective because. Journal of Experimental Child Psychology. 111(1), 128-135. Mericer, H., & Landemore H. (2012). Reasoning is for Arguing: Understanding the Successes and Failures of Deliberation. Political Psychology . 33(2), 243-258. Mercier, H. (2012). The Social Functions of Explicit Coherence Evaluation. Mind & Society. 11(1), 81-92. Mercier, H. (2012). Some Clarifications about the Argumentative Theory of Reasoning. A Reply to Santibáñez Yañez. Informal Logic. 32(2), 259-268. Baumard, N., & Chevallier C. (2012). What goes around comes around: The evolutionary roots of the belief in immanent justice. Bicchieri, C., & Xiao E. (2012). Words or Deeds? Choosing What to Know About Others. Synthese. Mercier, H., & Sperber D. (2011). Argumentation: Its Adaptiveness and Efficacy. Behavioral and Brain Sciences. 34(2), 94-111. Mercier, H. (2011). On the Universality of Argumentative Reasoning. Journal of Cognition and Culture. 11(1), 85-113. Baumard, N., Mascaro O., & Chevallier C. (2011). Preschoolers Are Able to Take Merit into Account When Distributing Goods. Mercier, H. (2011). Reasoning serves argumentation in children. Baumard, N. (2011). The restorative logic of punishment: Another argument in favor of weak selection. Sillari, G. (2011). Rule-following as coordination: A game-theoretic approach. (2011). Second- or third-party punishment? When self-interest hides behind apparent functional interventions. Mercier, H. (2011). Self-deception: Adaptation or By-product?. Behavioral and Brain Sciences. 34(1), 35. Andre, J. – B., & Baumard N. (2011). Social opportunities and the evolution of fairness. Journal of Theoretical Biology. 268(1), 128-135. Bicchieri, C., & Lev-On A. (2011). Studying the Ethical implications of e-Tust in the Lab. Ethics and Information Technology. Bicchieri, C., Xiao E., & Muldoon R. (2011). Trustworthiness is a social norm, but trusting is not. Mercier, H. (2011). What Good is Moral Reasoning?. Mind & Society. 10(2), 131-148. Mercier, H. (2011). When Experts Argue: Explaining the Best and the Worst of Reasoning.. Argumentation. 25(3), 313-327. Mercier, H., & Sperber D. (2011). Why do Humans Reason? Arguments for an Argumentative Theory. Behavioral and Brain Sciences. 34(2), 57-74. Bicchieri, C., & Chavez A. (2010). Behaving as Expected: Public Information and Fairness Norms. Journal of Behavioral Decision Making. Yama, H., Manktelow K. I., Mercier H., Van der Henst J. – B., Do K. S., Hawasaki Y., & Adachi K. (2010). A Cross-Cultural Study of Hindsight Bias and Conditional Probabilistic Reasoning. Thinking & Reasoning. 16(4), 346-371. Sperber, D., Clément F., Heintz C., Mascaro O., Mercier H., Origgi G., & Wilson D. (2010). Epistemic Vigilance. Mind & Language. 25(4), 359-393. Lev-On, A., Chavez A., & Bicchieri C. (2010). Group and dyadic communication in trust games. Rationality and Society. Mercier, H. (2010). How to Cut a Concept? Review of Doing without Concepts by Edouard Machery. Biology and Philosophy. 25, 269-277. Bicchieri, C., Lev-On A., & Chavez A. (2010). The Medium or the Message? Communication Richness and Relevance in Trust games. Synthese. 176(1), 125-147. Bicchieri, C. (2010). Norms, Preferences, and Conditional Behavior. Politics, Philosohy and Economics. Mercier, H. (2010). The Social Origins of Folk Epistemology. Review of Philosophy and Psychology. 1(4), 499-514. Landemore, H. E., & Mercier H. (2010). ‘Talking it Out’: Deliberation with Others Versus Deliberation Within. Análise Social. Mercier, H., & Sperber D. (2010). “Two Heads Are Better” Stands to Reason. Xiao, E., & Bicchieri C. (2010). When Equality Trumps Reciprocity. Journal of Economic Psychology. Mercier, H., & Sperber D. (2010). Why do humans reason? Arguments for an argumentative theory. Bicchieri, C., & Xiao E. (2009). Do the right thing: but only if others do so. Journal of Behavioral Decision Making . 22, 191-208. Mercier, H., & Sperber D. (2009). Intuitive and reflective inferences. Bicchieri, C. (2009). Rationality and Indeterminacy. Van der Henst, J. – B., Chevallier C., Schaeken W., Mercier H., & Noveck I. (2008). Dealing with Indeterminacy in Spatial Descriptions. Psychological Research. 72(5), 553-566. Bicchieri, C. (2008). The fragility of fairness: an experimental investigation on the conditional status of pro-social norms. Bicchieri, C. (2008). How Expectations Affect Behavior: Fairness Preferences or Fairness Norms?. Bicchieri, C., Lev-On A., & Chavez A. (2008). The Medium or the Message? Communication Relevance and Richness in Trust Games. Sillari, G. (2008). Models of Awareness. Sillari, G. (2008). Natural Justice. Economics and Philosophy. 24(2), 287-295. Sillari, G. (2008). Quantified Logic of Awareness and Impossible Possible Worlds. The Review of Symbolic Logic. 1(4), 514-529. Politzer, G., & Mercier H. (2008). Solving Categorical Syllogisms with Singular Premises. Thinking and Reasoning. 14(4), 434-454. Bicchieri, C., & Lev-On A. (2007). Computer-mediated communication and cooperation in social dilemmas: an experimental analysis. Politics, Philosophy and Economics 139-168.. 6, 139-168. Bicchieri, C. (2007). Game Theory: Some Personal Reflections. Bicchieri, C., & Arlo-Costa H. (2007). Knowing and Supposing in games of Perfect Information. Studia Logica. Sillari, G. (2007). Review: Realistic Decision Theory: Rules for Nonideal Agents in Nonideal Circumstances. Mind. Van der Henst, J. – B., Mercier H., Yama H., Kawasaki Y., & Adachi K. (2006). Dealing with Contradiction in a Communicative Context: A Cross-Cultural Study. Intercultural Pragmatics. 3(4), 487-502. Bicchieri, C. (2006). Philosophy: What is to be done?. Topoi. Sillari, G. (2005). A Logical Framework for Convention. Uncertainity, Rationality, and Agency. 325-346. Bicchieri, C., Mudambi R., & Navarra P. (2005). A Matter of Trust: The Search for Accountability in Italian Politics, 1990-2000. Mind and Society. Bicchieri, C. (2005). A taste for fairness. Networks. Bicchieri, C. (2004). Game Theory: Nash Equilibrium. the Philosophy of Computing and Information. Bicchieri, C. (2004). Rationality and Game Theory. Bicchieri, C., Duffy J., & Tolle G. (2004). Trust among Strangers. Philosophy of Science. Bicchieri, C., McEvily B., & Weber R. A. (2002). Can groups be trusted? An experimental study of collective trust. Bicchieri, C. (2002). Covenants without Swords: Group Identity, Norms and Communication in Social Dilemmas. Rationality and Society. Bicchieri, C. (2000). Words and Deeds: A Focus Theory of Norms. Bicchieri, C., & Fukui Y. (1999). The Great Illusion: Ignorance, Informational Cascades, and the Persistence of Unpopular Norms. Business Ethics Quarterly. Bicchieri, C. (1999). Local Fairness. Philosophy and Phenomenological Research. Bicchieri, C., & Schulte O. (1997). Common Reasoning about Admissibility. Erkenntnis. Bicchieri, C., & Green M. (1997). Symmetry Arguments for Cooperation in the Prisoner’s Dilemma. Bicchieri, C. (1996). The Potential for Cooperation among Web Agents. Adaptation, Coevoluation and Learning in Multiagent Systems. Bicchieri, C., & Rovelli C. (1995). Evolution and revolution: the dynamics of corruption. Rationality and Society. Bicchieri, C., & Antonelli G. A. (1995). Game theoretic axioms for local rationality and bounded knowledge. Journal of Logic, Language and Information . Bicchieri, C., & Antonelli G. A. (1994). Backwards forward induction. Bicchieri, C. (1994). Forward induction. Bicchieri, C. (1994). ie Philosophy g Met ho dplogy Logic. Bicchieri, C. (1993). Counterfactuals, Belief Changes, and Equilibrium Refinements. Philosophical Topics. Bicchieri, C. (1990). Norms of cooperation. Bicchieri, C. (1990). Paradoxes of rationality. Bicchieri, C. (1989). Self-refuting theories of strategic interaction: a paradox of common knowledge. Erkenntnis. Bicchieri, C. (1988). Backward Induction Without Common Knowledge. Bicchieri, C. (1988). Common Knowledge and Backward Induction: A Solution to the Paradox. Bicchieri, C. (1988). Metodological Rules as Conventions. Philosophy of Social Science. Bicchieri, C. (1988). Should a Scientist Abstain From Metaphor? Bicchieri, C. (1988). Strategic behavior and counterfactuals. Synthese. Bicchieri, C. (1983). Economic Welfare and the Distribution of Economic Advantages: Individual Rights Versus Common Goals. Economic notes.